Explore the medical sciences with practical training and hands-on experience. 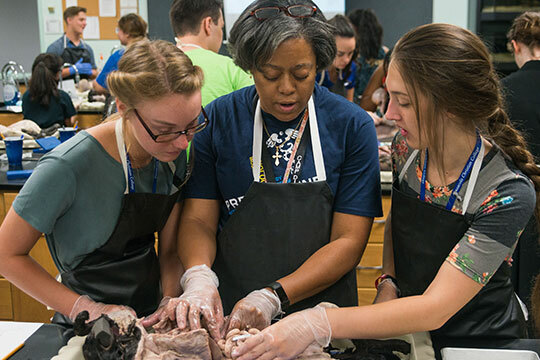 Fuel your passion for the medical sciences at Pre-Medicine Camp, where you’ll practice medical techniques that emphasize Christian values. Recognizing God as the source of life, Pre-Medicine Camp provides scientific/medical training with a Scriptural foundation. Daily activities include abundant experience in the PCC laboratories where you can safely study germs and bacteria under a microscope, learning how some of the tiniest creatures affect our lives. You’ll also study anatomy and physiology by dissecting animals under the direction of knowledgeable instructors. 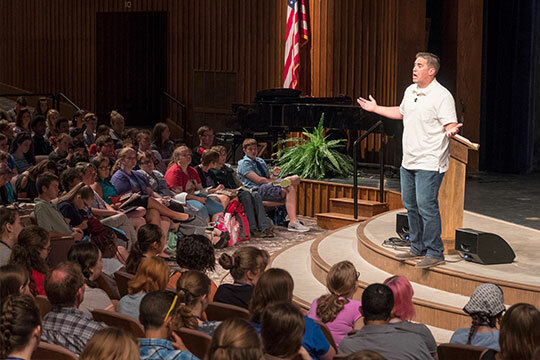 At this pre-medicine camp, Pensacola Christian College instructors will share insight and expertise in both scientific and spiritual care. Your instructors will also offer practical guidance for understanding what is needed to study medicine in college, which will greatly benefit you as you consider a medical career. Donna Ross-Beeks has been a professor in the Natural Sciences Department at Pensacola Christian College for 10 years. Prior to joining the college, she was a clinical research coordinator for an area pediatric endocrinology clinic. Dr. Ross-Beeks earned a Ph.D. in Toxicology from the Department of Pharmacology and Therapeutics at Louisiana State University Health Sciences Center in Shreveport, LA in 1999. She has worked on biomedical research studies in a variety of areas, such as diabetes and kidney disease, and has also done research in the field of environmental toxicology. In all she has done as a scientist and as a college professor, Dr. Ross-Beeks has shared her enthusiasm for the biological sciences with others and has endeavored to emphasize that the credit for the magnificent world we explore is due solely to God, the creator of all.